Young, hotshot Las Vegas magician, Dillon Magix, is recruited by the Homeland Security Agency to use his unique skills to help them steal a formula for synthetic plutonium— right before the eyes of ruthless terrorists. 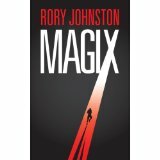 But like a good illusion, nothing is as it seems, and Magix soon finds himself on the run from the ruthless weapon developer, deadly terrorists, the F.B.I., police, and Homeland Security itself. He must tap into all his skills in the art of illusion to keep himself free and alive, and stop the formula for disaster from killing millions. A man awakens in a hospital bed, unable to make the slightest movement, with no idea of how he got there, or even who he is. Slowly, coordination and memories return. He is Captain Richard Ashton, the victim of a horrific jet crash, and he’s told that he is in an exclusive, private hospital in the California mountains. But there is something strange about this facility and the events that follow. Ric is sure that when he first awoke that he saw snow on the windowsill, but he’s told it’s June. A seductive nurse abruptly disappears, and so does his memory of her. He awakens in the middle of the night only to find the entire facility utterly deserted. Just as mysteriously, the staff reappears. Ric begins to realize that he is not only a patient, but a prisoner. Why? The only clues are his unusually compelling nightmares in which a mysterious woman beckons him into a sterile white room where body parts hatch from pods, pulsating globules of acid attack him, and a terrified little boy dies in flames. Somehow Ric knows these dreams hold the answers to his tormenting questions. He can trust only one person, his nurse, Dale Johnson. Beautiful, caring, and intelligent, this incredible woman helps him regain his strength – both physically and mentally – then ultimately helps him to escape when he finally discovers the truth. For Captain Richard Aston, perhaps, the truth was better left unknown. It is more terrifying than his worst nightmare because there is no waking from this terror: a government experiment so top secret that only a handful of military men and one insane scientist know the true scope and the appalling possibilities. 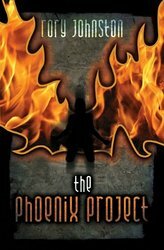 He can’t run, he can’t hide – there is nowhere to go because no man can escape from himself and, to his horror, Ric has discovered that he is the Phoenix project. Wesley Stevenson wakes up on his twenty-first birthday to discover that he is thirty-one years old. The following night he ages an additional ten years. Confused and skeptical doctors can provide no answers and the horrors continue as each subsequent morning brings another nightmare. The fillings in his teeth and his tattoos vanish. Mysterious, painful burns appear. Clothing disappears without a trace. He awakens bleeding profusely from a gunshot wound, even though he is alone in a sealed room. Then comes the unexplainable death of his neighbor — a demise so hideous that it drives a witness to insanity. When Wes sees a sleazy tabloid newspaper story about a series of bizarre deaths in his neighborhood, he contacts the writer in a desperate effort to shed some light on his own personal nightmare. Tough, jaded New York reporter, Catherine Chilton, senses the story of a lifetime — bizarre facts that read like the most sensationalized fiction. Joining the investigation, it isn’t long before she, too, is a victim of unexplainable horrors. 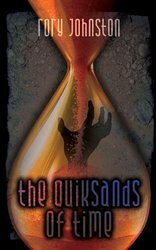 Careening out of control on this roller-coaster from hell, the two strangers grow unexpectedly close. In spite of the mind-numbing terror — or perhaps because of it — they find themselves falling in love. Drawing strength from one another, the couple races to solve the deadly puzzle, before it’s too late for either of them. Apocalypse. The end of the world. 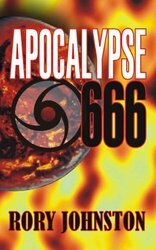 Apocalypse 666 is an epic action/adventure tale which begins with the instantaneous, mind-shattering disappearance of millions of people — including all children. As planet-wide hysteria ensues, Matthew Miracle, cynical, money-minded evangelic preacher, is quick to label it the Rapture — a time when all good Christians are taken to join their Lord. The appearance of an enigmatic, shape-shifting alien, Gideon, brings an even stranger explanation: the Earth’s inhabitants have been judged by an omnipotent alien race known as The One. Having proven unworthy as caretakers of this planet, we are scheduled for extermination. Gideon, a rebel among his kind, has chosen to help mankind survive. Jordan Masters, an incredibly charismatic film star who comes from a politically powerful family, becomes his spokesman, resulting in a meteoric rise to the top of the world’s political arena. Aided by a mysterious cadre of immensely powerful men and the scheming, widowed First Lady, Jordan quickly becomes the revered leader of the new world order. Over the next seven years, sweeping changes reshape the planet. Nothing remains unchanged, no person untouched. To Matthew Miracle, now a true believer, the similarities to Biblical predictions in the Book of Revelation are clear and horrifying — all of this was predicted 2000 years ago. He believes Masters is the anti-Christ and the “alien” Gideon is the dark angel himself, Lucifer! In a devastated world struggling to rise from the ashes, Cat Johnson, beautiful, ambitious reporter and her loyal cameraman, Roger, race to discover the truth. Is Masters — the man she loves —the only hope to unite our planet against an approaching alien army, or is he a false idol who will deliver us unto the ultimate evil? Nuclear disaster, earthquakes, tidal waves, aliens, plague, the supernatural power of ultimate evil, monsters, miracles, and the full wrath of God makes Apocalypse 666 the ultimate end-of-the-world epic. In one mind-numbing instant, millions of people vanish, creating planet-wide hysteria. Days later, all nuclear devices on Earth detonate, resulting in unprecedented global destruction. A massive spaceship crashes into the Atlantic Ocean, causing a tidal wave that wipes out the entire east coast of the United States. A powerful shape-shifting alien warns of the imminent extermination of all mankind. Thus begins this epic tale of the apocalypse. But is the rising chaos the work of powerful and hostile alien invaders or something else, something even more terrifying with far-reaching implications? Jordan Masters–the greatest political leader mankind has ever known–the one person who can save the world from annihilation, or the Antichrist, himself? Matthew Miracle–a dangerous fanatical religious zealot or a heavenly-inspired savior? Gideon–a rebellious alien, friend to Earth… or a skillful manipulator with a malevolent agenda? The One–an all-powerful collective alien species, the dark angel Lucifer, or the long-awaited Messiah? In a devastated world valiantly attempting to rise from the ashes, Cat Johnson, beautiful, ambitious reporter and her wise-cracking cameraman, Roger Jackson, race to discover the awesome truth. Not just for themselves, but for the sake of all mankind, before it is too late. John Stone and his newly assigned partner, beautiful and tough Cody Flint, take on a brilliant mastermind known as Lucifer who is blackmailing the Las Vegas casinos, threatening to cut off their water supply. Nonstop action in the tradition of Die Hard and Lethal Weapon. Sure video games are fun–but what if you had to play for real? Twelve people, the employees of a small software company that developed the most popular video game in history, are kidnapped and imprisoned in a bizarre, surrealistic facility, where they are forced to play a real-life variation of their violent and extremely dangerous game. Horrific deaths eliminate them one by one as they desperately try to discover the person and motivation behind their terrifying ordeal. Arnie Richards is an ex-Navy SEAL, who sustained a head wound which made him a quiet, simple man with a slight mental handicap. While working at the dead letter office in the US Post Office, he discovers a letter from a little girl who is asking Santa Claus to help clean up her crime-ridden neighborhood. Touched by the plea, he decides to do something about granting this little girl’s wish. Satan’s Army, the biker gang terrorizing the area, are more than tough adversaries. 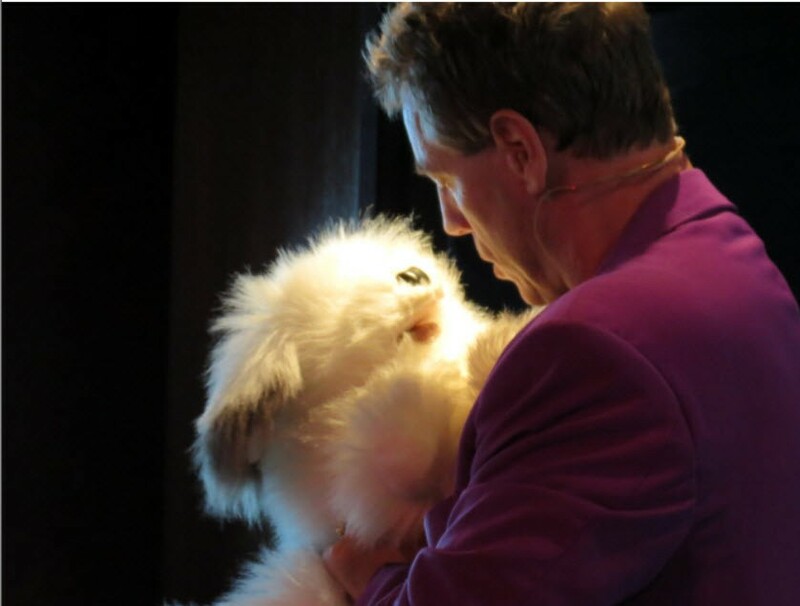 It looks as if Arnie might be licked until tiny Leon, who claims to be one of Santa’s elves, shows up. The little magical man helps our hero rouse the neighborhood and stand up for themselves. A heart-warming action/adventure magical Christmas film for the whole family. Captain Ric Ashton awakens in a hospital with amnesia. As he pieces his memory back together, he finds he is a prisoner as well as a patient. With the help of his beautiful nurse, Dale, Captain Aston tries to escape the deadly and frightening top-secret government robotics project. But there is no escape from yourself, and Captain Ric Ashton is The Phoenix Project. Explosive action, psychological terror, an intense love story, combine to make this modern Prometheus story unique. Mystery action comedy with magic. Then it happens: a priceless necklace is stolen from the hotel jewelry store. In front of witnesses, the gem simply disappears… as if by magic. All evidence points to Johnny, but is it a frame? Set in the exciting world of Las Vegas’ top illusionists, As If By Magic is packed with original magic, exciting cameos, and a surprise ending in the tradition of The Sting. The entire movie is in itself a magic trick, guaranteed to fool the audience! Shawn Doe, raised in an orphanage, has learned to fend for himself–evolving into perhaps the world’s greatest salesman. When the bank threatens to foreclose on the institution, it’s up to Shawn to raise the money and save the day. Morris Goldman has been given a generous offer on his meat packing company, but his wicked witch of a wife and her three idiot sons–who have the majority vote–won’t let him sell. They’d rather he died first, so they would get more of the money. For Morris to regain control of his company he’d need a miracle. Enter Shawn. Together, the two hatch a scheme where Shawn pretends to be Morris’ long-lost son. Now Shawn needs every bit of his amazing sales skills to close the sale of his life, but between dealing with Morris’s struggling company, suspicious wife, and inept stepsons–not to mention falling in love with Morris’ daughter who is his supposed sister–Shawn discovers that being an orphan may actually be preferable to being a member of this lunatic family. This musical homage to Miracle on 34th Street revolves around an inner-city man who claims to be Santa Claus. He enlists the help of three children to revive the meaning of Christmas. Trying to thwart them is Lance Boyle, a ruthless reporter for a New York tabloid, The National Busybody. Book and lyrics by Rory Johnston. Music by Guy Maeda and Rory Johnston. A children’s play about the environment. Kids from the future appear out of a Science Fair time machine to warn the kids of today that they are ruining the world for future generations. Designed to be performed by and for children. Co-written with Stan Allen. This children’s play centers around the theme of peer pressure — drinking, smoking, and drugs. Designed to be performed by and for children. Co-written with Catherine Johnston and Stan Allen.